Pharmaceutical research is in the throes of crisis. But all crises have their bright side: they force us to rethink the way we do things and to use our imagination to propose creative solutions. Something similar has occurred in drug development, an area that has been changing for a decade. The traditional model of searching for and investigating new treatment molecules has all but run its course. Open innovation, according to Jordi Quintana, allows us to focus our efforts. The director of the drug discovery platform of the PCB tells us that "now, each and every one of us can do what we do best", which makes it possible to increase efficacy in drug R&D. But how has pharmaceutical research changed in the last few years? The platform at the Parc Científic de Barcelona (Barcelona Science Park) was created in 2007 with a view to promoting the development of medicinal products with the aid of computing techniques and the use of databases of therapeutic interest. Although computing and modelling have been used in science for more than two decades, it is only now that we are beginning to see positive results, states Jordi Quintana. For example, having more powerful computers allows us to perform many calculations in shorter periods of time. In this way, we can simulate processes and select only the ones proposed by the computer so that experimental validation is performed much more selectively. Moreover, computing allows us to streamline the results obtained. For example, if in the past we had to study 100 different molecules that might be of interest in terms of treatment, we can now prioritise research processes and biological trials according to the calculations performed by the computer. In other words, computing can analyse the interactions between chemistry and biology with a view to predicting the results that will be obtained by a molecule in biological tests. What have these possibilities been translated into? According to the scientist, “we have managed to reduce the use of experimentation animals thanks to computing rationalisation”. On the one hand, this has allowed us to test a smaller number of chemical compounds in animal models. On the other hand, animal experimentation is increasingly more regulated, since, according to Quintana, “the elimination of the use of animals in preclinical research will not be possible for the moment”. The very characteristics of drug R&D render it necessary for target molecules to be tested in two animal species before they can be evaluated in healthy volunteers with a view to ruling out safety and toxicity problems. The reduction in the number of animals used in research is not the only advantage of computing. Drug research is also based on what is known as biological chemistry, a discipline that has accelerated the processes of drug discovery. In this regard, the initiative known as ChemBioBank, led by Jordi Quintana, has made it possible to create an open-access database, which contains and characterises chemical compounds and their virtual interactions with more than 5000 proteins. Scientists can access these databases remotely and verify computing trials, and in some cases biological trials, in order to ascertain the affinity of a given molecule for a specific therapeutic target. This project, similar to another European initiative involving 16 countries in which the Parc Científic de Barcelona is also involved, is characterised by a more global approach: “understanding how chemistry interacts with biology”. But drug research is not only changing the way that new compounds are discovered. In an epoch characterised by environmental concern, in which reuse and recycling are a guarantee of sustainability, why should these concepts not be applied to drug R&D? The platform managed by Quintana also works in the area of drug repositioning, with the compilation of the structures of more than 8000 compounds. In the future, the management of pharmaceutical big data could enable us to discover new therapeutic applications of molecules already on the market or in the investigation phase. 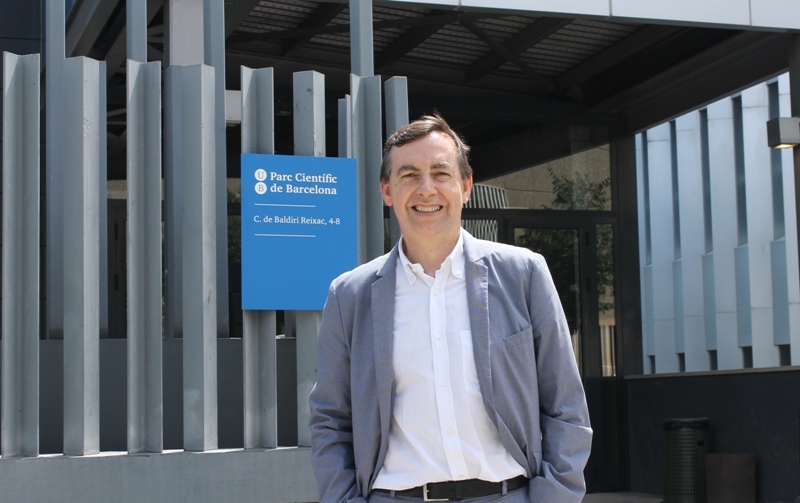 The company SOM Biotech, working at Parc Científic de Barcelona, taking the drug repositioning approach, has already obtained its first fruits by achieving the designation of the SOM-0226 compound as an orphan drug to treat a rare disease. The change in the drug R&D model will also be debated at the annual meeting of the Spanish Drug Discovery Network, due to be held on 12 and 13 November at Parc Científic de Barcelona. The future of new drug research will be addressed at this event, whose main challenge, according to Quintana, "is that there are still many patients who can’t be cured".